There is certainly significantly more to tree surgery than an axe or a saw. LTC Tree Surgery knows about trees, the way they grow and how to keep them healthy. Wigan-based tree surgeons, fully insured and certified by NPTC. 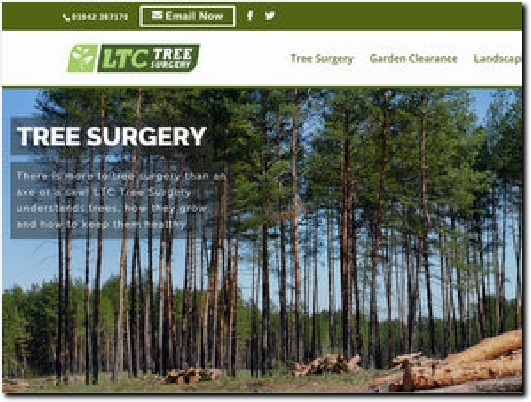 The Tree Surgery tab leads to information on the services offered, while Garden Clearance and Landscaping covers other aspects of the business. Contact Us includes the business postal address and phone number and a contact form.